Making sure to capture all marketplaces of Mumbai(India), our organization has arisen as an established provider of this range of product. We are staffed with a team of deft professionals who diligently furnish varied requirements of the clients and ensure qualitative packaging of the placed orders. Rajshree Overseas is one of the largest Carbon Steel Pipes manufacturer and exporter in India. 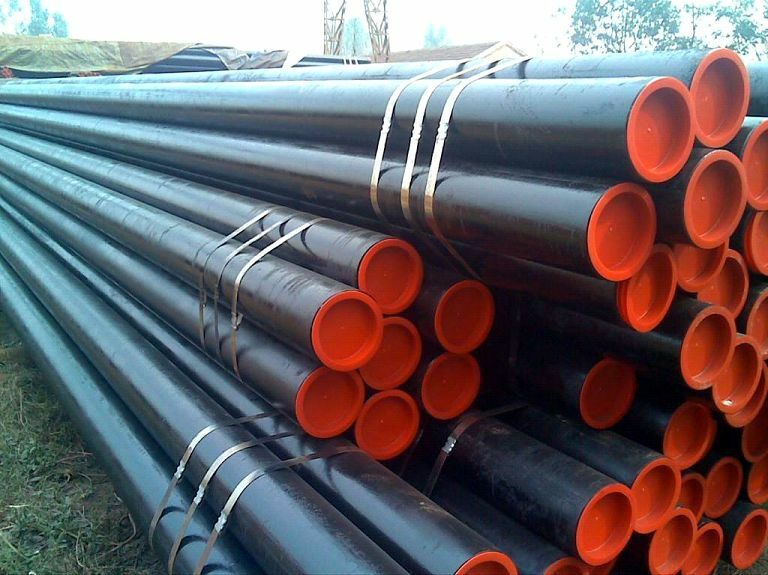 Available for Immediate Supply Buy High Quality Carbon Steel Pipes from Mumbai India. – Call Us Now +91-22-23852133, +91-22-66109641 , Mail Us jenil@rajshreeoverseas.com. Carbon Steel - ASTM A53 GR. B/ A106 GR. B/ API 5L GRADE B/ API 5L GR. X42/46/52/56/60/65/70/ A333 GR. 3/ GR. 6 etc.